Prominent & Leading Manufacturer from New Delhi, we offer designer vanity, bathroom vanity, steel vanity, metal vanity, ss vanity and stainless steel modular vanity. 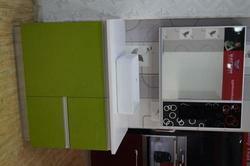 We are reckoned manufacturer and supplier of optimum grade Designer Vanity. 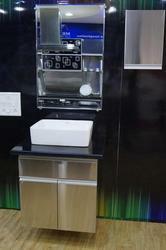 These steel vanities are made as per the industry norms by utilizing finest grade material and advanced technology. Moreover, these Designer Vanity vanities are posed with the incredible features the excellent finish, great strength & high durability. 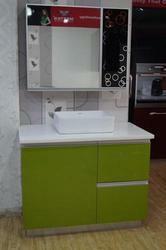 According to the customer’s requirements, we offer our Designer Vanity in different designs, and sizes. 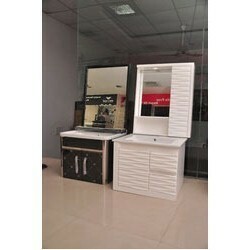 We offer these Designer Vanity to our respected customers at reasonable rates. Aiming to attain maximum client satisfaction, we are engaged in offering Steel Vanity. Our range of Steel Vanity is designed using modern machinery & latest technology. Our Steel Vanity are extensively treasured by the customers due to their quality features like perfect finish and longer life. Our dear customers can easily take these Steel Vanity at nominal rates. Utilizing the most modern technology and latest machinery, we bring forth the wide array of Metal Vanity. These Metal Vanity are broadly valued by the clients due to their high standards of long life and smooth texture. Along with that, we also offer customization according to the specifications given by the customers to fulfill their exact needs. Furthermore, our honored customers can take these Metal Vanity at affordable rates. Owing to perfection and quality oriented approach, we have carved niche in the industry by offering an enormous grade array of SS Vanity. 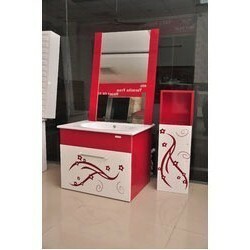 With a purpose to satisfy our customers, we offer these SS Vanity in various design & size. Moreover, our professionals design the offered SS Vanity by utilizing best quality material so as to guaranty their durability. We carry out the entire manufacturing process of these SS Vanity under the direction of experts who take care about globally laid quality standards. 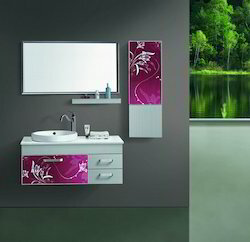 Customers can take these SS Vanity from us at market leading rates.